Your residential carpet and oriental rug investment and installation represents a major investment in both monetary terms and improving your overall residential appearance and image. The need to implement a carpet cleaning maintenance program from the beginning is very important. A consistent and effective (truck mounted, deep carpet cleaning maintenance process) will dramatically extend the life of your carpet and also your monetary investment. It is our goal to pass along the enclosed facts for your review and evaluation. These facts will definitely preserve the life of your carpets and oriental rugs and also help to maintain their value and reduce the rate of depreciation. The 1st thing we will do for Reamstown PA carpet cleaning is “vacuum” your carpets before we deep clean your carpets. The purpose of vacuuming your carpets is to remove all dirt, soil, debris and small objects from the surface of the carpet. We will vacuum 100% of the carpets you want cleaned. We will also vacuum along the edges of the room. Oriental rugs must be picked up and brought back to the office for the proper cleaning process to be applied to the oriental rug. The 2nd thing we will do is “spot clean” your carpets before we deep clean your carpets. The purpose of spot cleaning is to try and remove all the spots and spills or at least make the spots and spills lighter in color. When spots and spills are removed or made lighter in color, this will make your carpets cleaner and safer for small children to play on your carpets. The 3rd thing we will do is look for “traffic lanes” in the rooms you want your carpets cleaned before we deep clean your carpets. The purpose of locating traffic lanes and treating them with special formulated carpet fiber approved cleaning agents and enzymes is to remove the build up of cooking oils found in the kitchen area, petroleum oils or asphalt found near the garage door, basement door and the front door areas. The special formulated carpet fiber approved cleaning agents and enzymes will make your carpets look newer, brighter, cleaner and healthier for your entire family to use. The 4th thing we will do is “pre-spray” your carpets before we deep clean your carpets. The purpose of pre-spraying is to loosen all dirt and soils embedded in the carpet fibers as well as dirt and soils embedded on the top surface of your carpets. It is a pre-conditioner acting on the carpet fibers so that when the deep cleaning process begins to clean your carpets they will look newer, brighter, cleaner and healthier for your entire family to use. The 5th thing we will do is “deep clean” your carpets. Deep cleaning is the best way to clean your carpets. Truck mounted, hot water extraction equipment is the best method of deep cleaning your carpets. Truck mounted, hot water extraction equipment is recommended by carpet manufacturers to clean your carpets and also help remove spots and spills or at least make your spots and spills lighter in color. Truck mounted, hot water extraction equipment makes your carpets safer and healthier for babies, small children and pets to play on. Reamstown PA carpet cleaning by Clean Way is your best recommendation. The 6th thing we will do is clean the base boards in the rooms we just cleaned. This will add a special cleaner look to the rooms that were cleaned with the truck mounted, hot water extraction equipment. The 7th thing we will do to help keep all of your carpeted floors cleaner and healthier is offer you the following “extra value services / carpets cleaned every six months.” Clean Way highly recommends you think about having your carpet cleaned every six months. One time in the spring of the year and one time in the fall of the year. This carpet cleaning maintenance schedule will make your carpets look and last longer. Remember, the younger the house guests and the number of house guests living in your house should dictate to you how often you should have your carpets cleaned. The 8th thing we will do to help keep all of your carpeted floors cleaner and healthier is offer you the following “extra value services / soil prevention.” Clean Way highly recommends you think about buying outside door and inside door mats capable of scraping debris, snow, salt, rain, etc., off your shoes and your mats must have the capability to hold this scrapped off material until you vacuum these mats. Clean Way carries these excellent outside and inside door mats in stock. Why not give us a call at 1.717.793.3212 or talk to Ron when he visits your house. The 9th thing we will do to help keep all of your carpeted floors cleaner and healthier is offer you the following “extra value services / who done it? Carpet and upholstery cleaner.” Clean Way highly recommends you think about buying who done it? Carpet and upholstery cleaner. Question is, do you have any pets that have accidents on your carpeted floors? If the answer is yes, you really need to buy this product. It will help remove pet stains and pet odors from your carpets and upholstery. If you are caring for your parents and they have accidents on your upholstered chairs or sofa, guess what, this product will also work on human urine stains and odors. Buy it, try it, if you are not 100% satisfied we will refund 100% of your money. No questions asked. Clean Way stocks this excellent product for immediate off-the-shelf delivery. Why not give us a call at 1.717.793.3212 or talk to Ron when he visits your house. The 10th thing we will do to help keep all of your carpeted floors cleaner and healthier is offer you the following “extra value services / spray and wipe disinfectant cleaner and deodorizer.“ Clean Way highly recommends you think about buying spray and wipe disinfectant cleaner and deodorizer. It is the best product and recommended pet carriers, pet crates, pet cages, linoleum and tile and grout floors, walls and counter tops, vinyl and rubber mats and most hard nonporous surfaces. Buy it, try it, if you are not 100% satisfied we will refund 100% of your money. No questions asked. The 11th thing we will do to help keep all of your carpeted floors cleaner and healthier is offer you the following “extra value services / 24 / 7 emergency flood services.” Clean Way highly recommends when you have busted water pipes, extensive rain flooding, water damage from frozen water pipes, drain back up or sewage back ups you think of Clean Way to help you out. Clean Way has it all. High-speed air movers, water extraction equipment, drying equipment, and rapid disaster cleanup and recovery equipment. 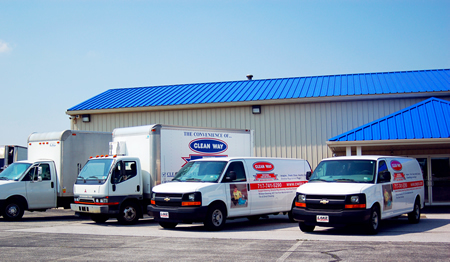 CLICK HERE TO CONTACT CLEAN WAY TODAY!